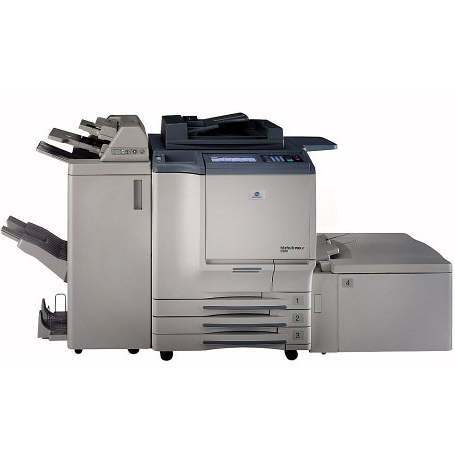 With a massive weight of 551 pounds, the Konica-Minolta bizhub PRO C500 workhorse laser printer is built to handle the heavy volume of a fast-paced office on a daily basis. It is not easy to move, and the 31x35x42-inch frame will take up quite a bit of space, but its all-in-one capabilities eliminate the need for multiple machines like a scanner or copier. 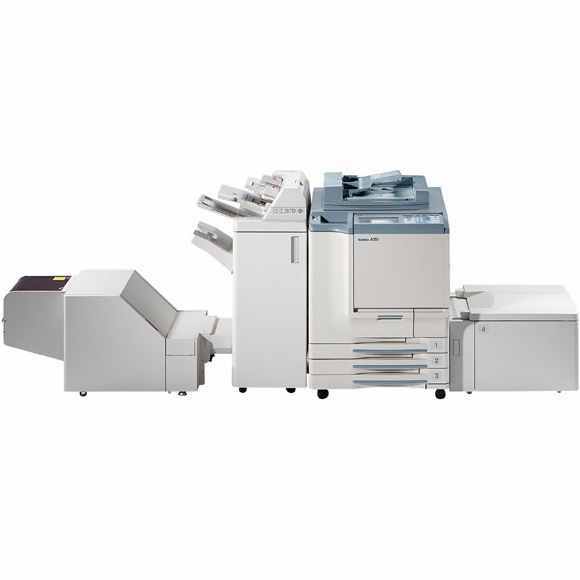 Whether it is standard text documents or colorful graphics that need to be printed, the C500 will deliver with efficiency and quality. When it is first turned on, the C500 can take nearly 7 minutes to warm up. 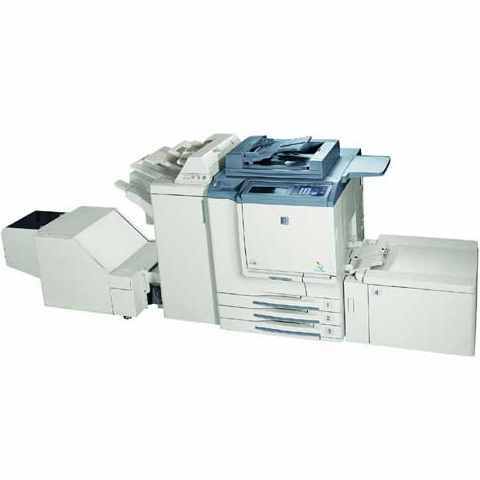 Once it is ready to go, though, this unit will print the first page of a task in no more than 8 seconds, followed by a maximum rate of about 50 pages per minute. This equates to just a bit more than one second per page, and that speed is the same for both black-and-white and color documents. The machine's maximum monthly duty cycle is 150,000 pages, though it is not recommended to meet that limit frequently, for the sake of the longevity of the unit. 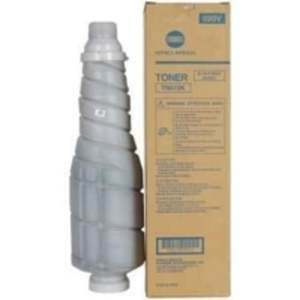 Additionally, the Konica-Minolta C500 toner cartridges yield 20,000 pages each, so using this unit to its full capacity would require ordering replacement toners as many as 8 times per month. When using only the black bizhub PRO C500 toner, the resolution maxes out at 600x600 dpi, which will create professional quality text. 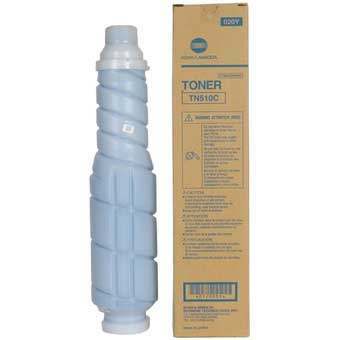 Throw in the cyan, magenta, and yellow Konica-Minolta C500 toner, though, and the resolution jumps to 2400x600 dpi, generating sharp graphics and vivid images. 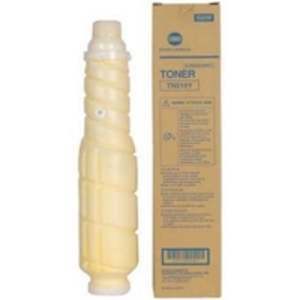 This impressive quality is a result of the innovative Color Polymerized printer toner that Konica-Minolta uses. Built in to this device are a 2.8 GHz processor, a duplexer, and USB and ethernet ports for connecting to a single computer or a network. There are some upgradable features as well, which gives users the opportunity to expand the C500 as business increases, rather than purchasing a new unit. The standard 512 MB of memory can be upgraded to 1.5 GB if needed, allowing larger amounts of data to be transferred and stored. There is a 500-sheet input tray and a 250-sheet bypass tray for alternative media types built into the machine, but optional trays can be added to increase the paper capacity to a maximum of 4,250 sheets. These additional add-ons can be purchased in local stores or on the internet, just like the replacement bizhub PRO C500 toner cartridges. A busy office will notice a clear improvement in terms of quality and overall production when using the C500. 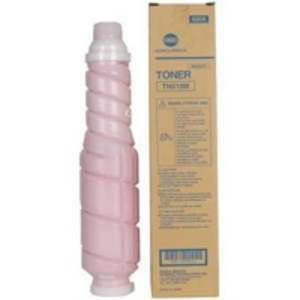 It has a number of upgradeable features, uses superior polymerized Konica-Minolta C500 toner, and provides impressive speed. This color laser all-in-one is clearly too large for small offices, but is an ideal match for big businesses.